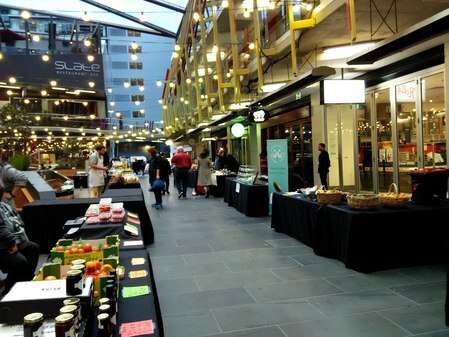 Where can you find fresh food directly from the farms in Melbourne city? Thanks to the good folks at Rotary Club of Central Melbourne Sunrise in conjunction with The GPT Group, producers from around Victoria are gathering to offer farm fresh fruits and hand-made products in Goldsbrough Lane every Thursday from 4.30pm to 7.30pm. There are seasonal fruits and jams, Celtic biscuits made from ancient recipes, wide variety of cheese from Milawa and breads and pastries freshly baked in the afternoon just to name a few. So make the Goldsbrough Lane Gourmet Farmers' Market your shopping stop for fresh produce after work on Thursdays. Why? Where else can you find a farmers' market in the city?